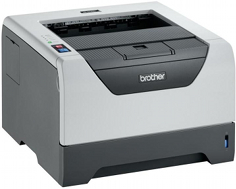 For those seeking out an electrophotographic laser printer that is relatively small but can still break the 30 page per minute mark, check out the Brother HL-5340D, a high resolution monochrome workgroup device with enough speed and versatility to satisfy most small offices. Though A4 printing tops out right at the 30 page per minute mark, letter sized prints are able to hit up to 32 pages per minute. 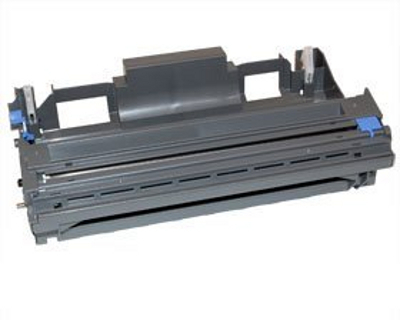 An included automatic duplexor will cut print time down to around 13 seconds per page, but will provide twice the text per page, thus reducing costs by almost half. Double sided printing is also useful for making brochures and folded pamphlets fast and easily. First print out time as also expectedly fast and clocks in at 8.5 seconds, which is a perfect feature for those printing a large quantity of single page print jobs. A wide range of print resolutions are selectable, though the range achievable varies from operating system to operating system. DOS can still be used to power the Brother HL-5340D, but prints only at 600 x 600 dots per inch. Windows systems, Macintoshes, and Linux drivers have the additional options of 300 x 300 dots per inch, 1200 x 1200 dots per inch, and Brother's unique HQ1200 print resolution that runs at 2400 x 600 dots per inch. The reason for the HQ1200 resolution is to have high quality prints that come out faster than true 1200 dpi. The dimensions of the unit are 14.6 in. x 15.1 in. x 9.7 in. (W x D x H) which means that this unit stands at less than ten inches tall and carries a small footprint, while its weight is just barely over 20 pounds. Paper compatibility is limited to A4, Letter, ISOB5, A5, A5(Long Edge), ISOB6, A6, Executive, Legal, and Folio for the standard tray, and various other types for the bypass tray. If this printer is in your price range, there really are not any real downsides other than the lack of included networking, which it almost seems like the Brother HL-5340D would be inclined to. The paper capacity is a little small, at 250 sheets of standard storage plus a 50 sheet multipurpose tray, but, if needs be, buyers can add the optional extra 250 sheet tray for a boost in overall storage, and the option to simultaneously load both letter and legal size paper (or any other combination of standard paper). Review it: "Brother HL-5340D "
Both an OEM toner cartridge and a high yield toner cartridge are available for the device, and vary greatly in price, as OEM and third party cartridges often do. In this case, the OEM cartridge carries a 3,000 page yield, while third party cartridges available yield 8,000 pages. 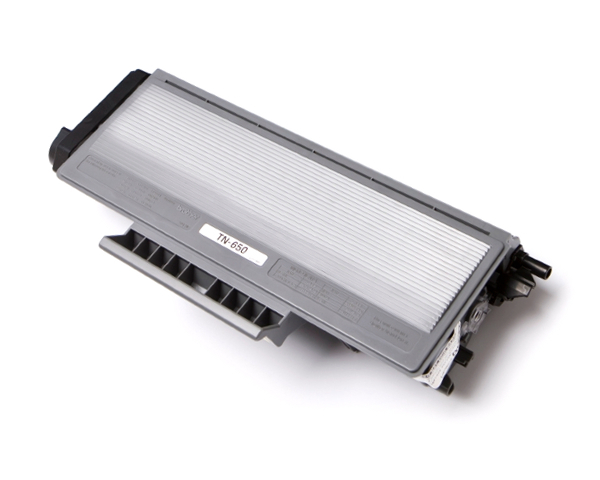 It is not uncommon that third party manufactures are able to squeeze more toner into an equal sized unit. Interestingly, this case, the OEM drum unit actually holds more than the third party unit, with their page yields at 25,000 sheets and 20,000 sheets respectively.